I started my poetic endeavours with the challenging task of translating and publishing John Keats’ poetry in Romania. That meant confronting the difficulty of transferring poems from a Germanic into a Romance language, while striving to be a translator, not a “traitor” (counteracting the Latin saying:”Tradutore - traditore.”) My poetry “happens” as an attempt at communicating thoughts or feelings by intercepting one’s similar “wavelength”. Sometimes it’s my way out of awestricken speechlessness. Some other times it’s the shortcut that my thoughts take lest they might get too entangled in prose. 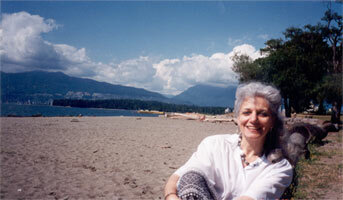 Cecilia Burcescu teaches literature - university level - in Vancouver, British Columbia, Canada.